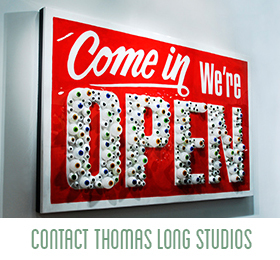 Thomas Long's studio is located at his home near the beach, in beautiful St. Augustine, FL. 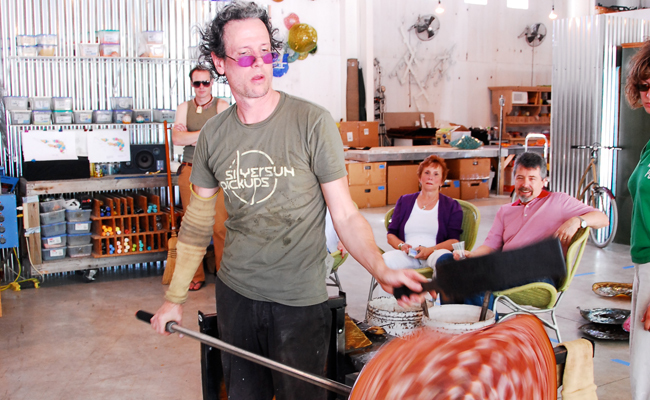 The studio houses Thomas' Hot Shop, where he blows glass, as well as a metal fabrication area, gallery, and an additional painting studio where his wife Lahib Jaddo, an accomplished painter, works her magic. If you would like to arrange a visit to the studio, please use our contact form to request a visit, with the date you would like to come by, and we will get back with you to arrange it. 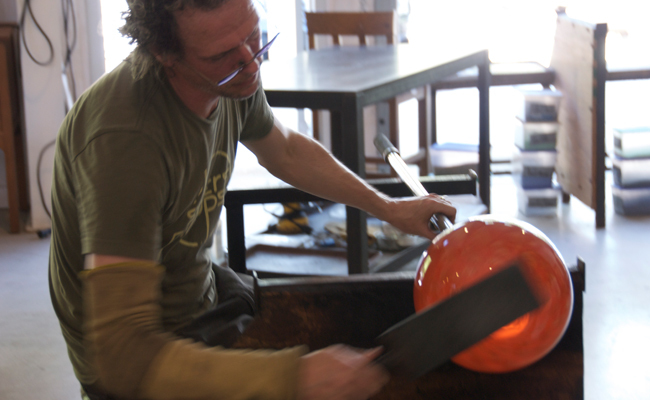 In the studio we have two large furnaces that maintain the temperature of the glass between 2100-2400 degrees, and several annealing ovens used for cooling finished pieces. To see videos of Thomas at work, visit our videos page. Green info: We strive to limit any waste in our studio. Waste glass is reduced through our streamlined process in our hotshop and any leftover glass is recycled and used by other glass artists to make various things. 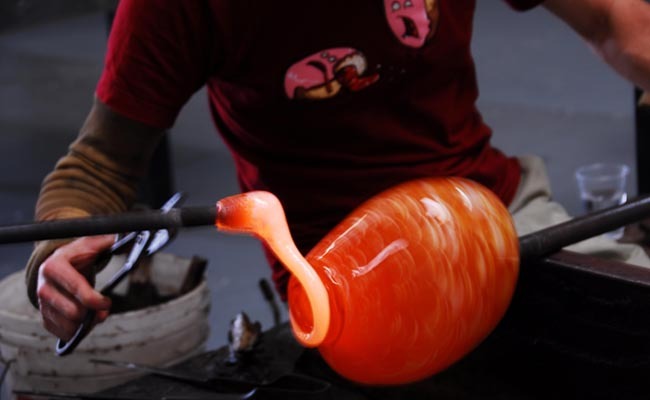 We are also sourcing our raw glass from the US instead of overseas, reducing our carbon footprint.